Stories about law enforcement officials turning to Facebook for help in prosecuting criminals have cropped up with increasing regularity lately. It seems as though a lot of crooks can’t help but post pictures of their deeds on the site. A Milwaukee father allegedly dodging child support was no exception. Christopher Robinson is facing three felony counts for failing to provide child support for his three-year-old child. Robinson is accused of missing the mandatory $150 a month payments every month for three straight years. 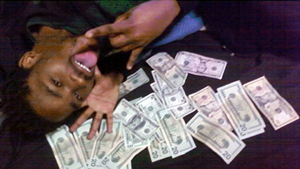 However, Robinson apparently had plenty of cash on hand; he posted pictures of himself on Facebook posing with wads of twenty-dollar bills. The Milwaukee district attorney’s office used the Facebook pictures as evidence to build a case against Robinson. Robinson currently has active warrants out for his arrest, and he faces up to eleven years in prison if convicted of all pending charges.